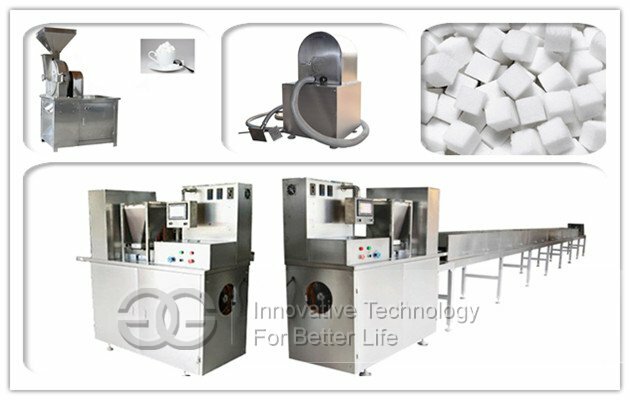 Cube Sugar Production Line is mainly used to making different specifications of sugar cubes,with different moulds to make various shapes and sizes of coffee sugar. 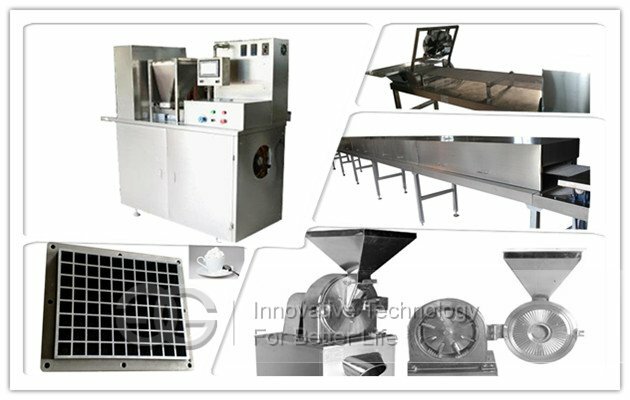 Cube Sugar Processing Line is mainly used to making different specifications of sugar cubes, brown sugar, heart-shape sugar,etc. 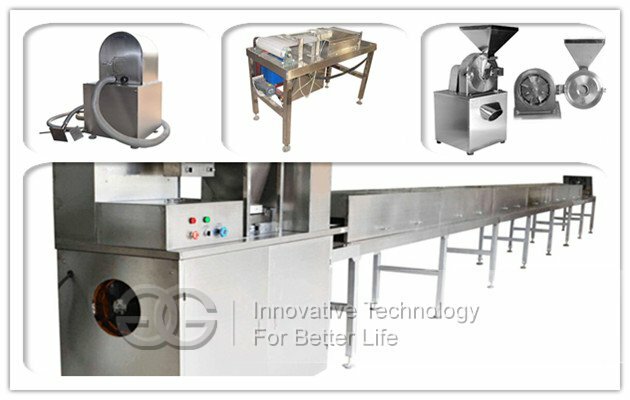 Features: All machines are made of high quality stainless steel, conforms to food standards, long service life and easy to maintain. 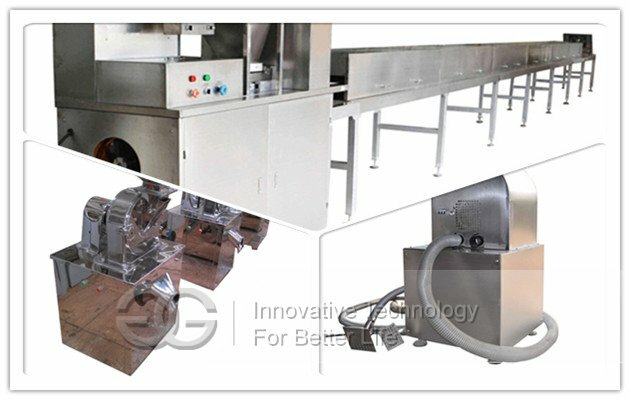 The total set of Cube Sugar Production Line consists of sugar grinding machine, mixed spiral feeding machine, sugar making machine, tablet linkage conveyor, drying tunnel, cooling machine and semi-automatic sugar carton packing machine. 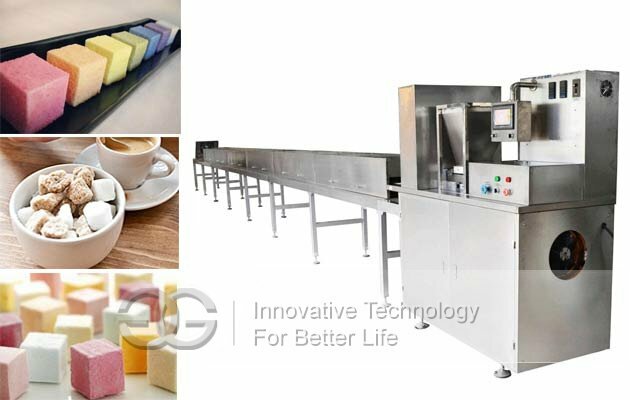 1.High quality to making many irregular shape cube sugar, the sugar forming machine mold can be customized according to customer sugar samples. 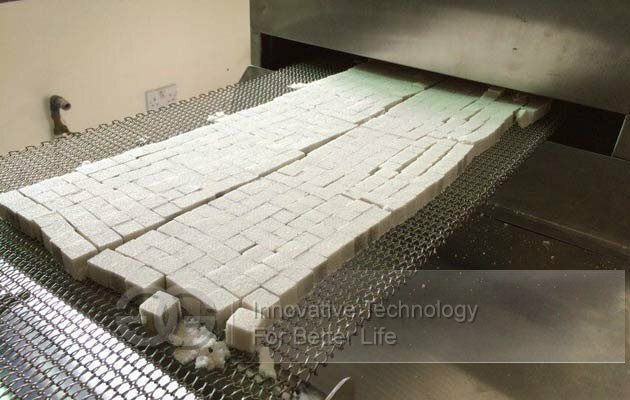 2.By changing the molds, this plant is able to produce various shape of high quality sugar cube such as square sugar, heart-shaped sugar and special shape sugar cube. 4.This machine is the most advanced sugar cube equipment, with reasonable structure, smooth operation, long service life, clean rate higher characteristic. 3 Sugar Making Machine GGF-80 150-200kg/h 3kw,380V/50Hz 1800*750*1750mm 800kg PLC control, man-machine interface.